We supply & install all the major brands of straight stairlift in the Cardiff, Newport, Swansea, Neath and all the South Wales area. 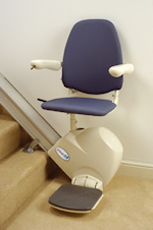 Straight stairlifts start from £1250 with a wide colour range to choose from. 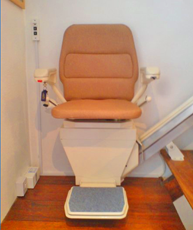 We install both new and approved used straight stairlifts such as Minivator stairlifts, Stannah stairlifts, Meditek stairlifts, Bruno and Brooks stairlifts. 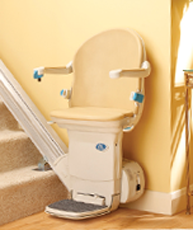 As with curved stairlifts, the rail is fitted to the stairs, not wall and the installation is quick and clean. 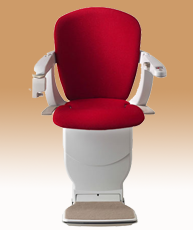 South Wales Stairlifts is based in Cardiff and covers the whole of South Wales. 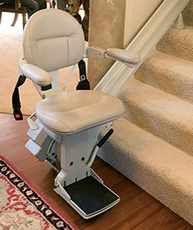 Click here to view our gallery of stairlift installations. For straight stairlifts installed in South Wales, please contact us at South Wales Stairlifts to arrange your FREE STRAIGHT STAIRLIFT CONSULTATION. 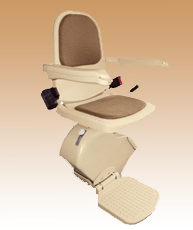 For temporary requirements, we also offer a rental stairlift service. Visit our rental page. Read our handwritten testimonials here for added peace of mind.